Al-Qaeda is plotting mass attacks on civilians in Britain and other Western countries, the head of the UK secret service MI5 warned. The announcement follows Wednesday’s terror attack at Charlie Hebdo in Paris, which killed 12 people. Andrew Parker, director general of MI5, told a select group, mostly from the Royal United Services Institute (RUSI), that while the Islamic State (IS, formerly ISIS/ISIL) has been encouraging lone wolf attacks on British soil, Al-Qaeda are planning a massacre that will target large numbers of civilians. “We know that terrorists based in Syria harbor ... ambitions towards the UK – trying to direct attacks against our country, and exhorting extremists here to act independently,” he said. “We still face more complex and ambitious plots that follow the now sadly well-established approach of Al-Qaeda and its imitators: attempts to cause large scale loss of life, often by attacking transport systems or iconic targets. It is believed the gunmen are affiliated to Al-Qaeda in the Arabian Peninsula (AQAP). The brothersCherif and Said Kouachi, the main suspects in the Charlie Hebdo shootings, have been killed after French police stormed a printworks warehouse in Dammartin-en-Goele, where the two suspects were holding at least one hostage. French media are reporting that the two brothers have been killed in the operation and the hostage has been freed. The UK's COBRA emergency committee agreed to increase security measures on Thursday. Border controls have been tightened as a result. Extra police have been deployed at British ports and train stations serving the Eurostar. Home Secretary Theresa May said on Thursday: “Following the attacks [in Paris] we took the precautionary step yesterday of increasing security at the French-UK border. “The UK threat level, which is set by the independent Joint Terrorism Advisory Centre, remains at severe; that means a terrorist attack is highly likely and the public should remain vigilant. Sky News reports that Al-Qaeda recruits British volunteers in Syria, led by Muhsin al Fadhli, an “expert bomb maker,” whose mission it is to plot attacks against the West. 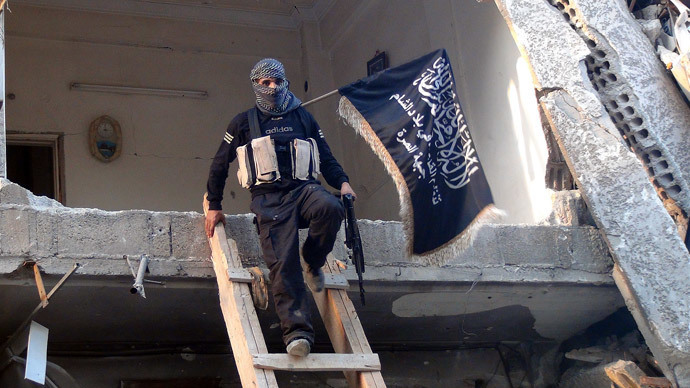 Al-Fadhli is the leader of the militant Khorasan Group in Syria, an Al-Qaeda cell. The 33-year-old, a senior Al-Qaeda operative, was so close to Osama Bin Laden that he was among a small group who knew about the September 11, 2001, attacks before they were launched. He was reportedly killed in airstrikes in September 2014, but these reports have never been fully confirmed. At the time of his alleged death, Fadhli was an Al-Qaeda adviser with a $7 million bounty on his head from the US State Department.